Azure is the ideal spot to grab a bite to eat while enjoying a day at Conrad’s pool or beach. We reserved one of the luxurious bale’s to spend a relaxed lunch with our family…..
Settimo Cielo is a chic and delicious restaurant located in the bustling Seminyak area. We loved their sophisticated take on Italian cuisine all created with great attention to detail and using high quality ingredients…..
JU-MA-NA Restaurant is one of the most beautiful restaurants in Uluwatu boasting an impressive views off the famous cliff. We loved the modern and clean design as well as their stunning floor to ceiling windows…. 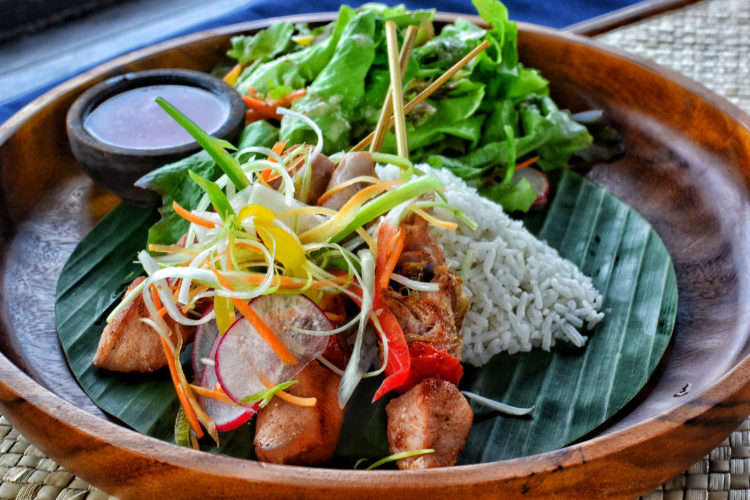 Bambu Restaurant at Banyan Tree Ungasan is the ideal spot to enjoy an authentic Balinese feast. 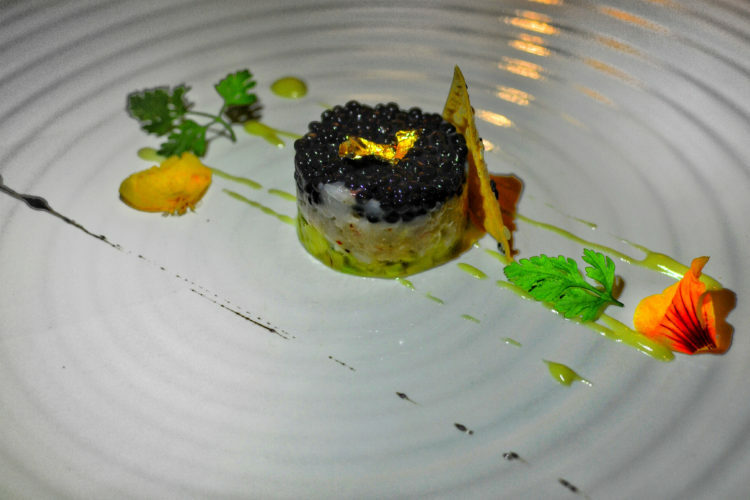 We recommend ordering the Rijsttafel Menu which takes you on a journey of all the mouthwatering dishes they offer…..
Raku at the Ritz Carlton is the ideal spot to enjoy a casual dinner and drinks while enjoying views of the beautiful resort. We love the open front restaurant, raised above Ritz Carlton’s expansive and impressive grounds…. Breezes Tapas Lounge is the ideal place to enjoy a leisurely lunch while enjoying a view of Nusa Dua beach. 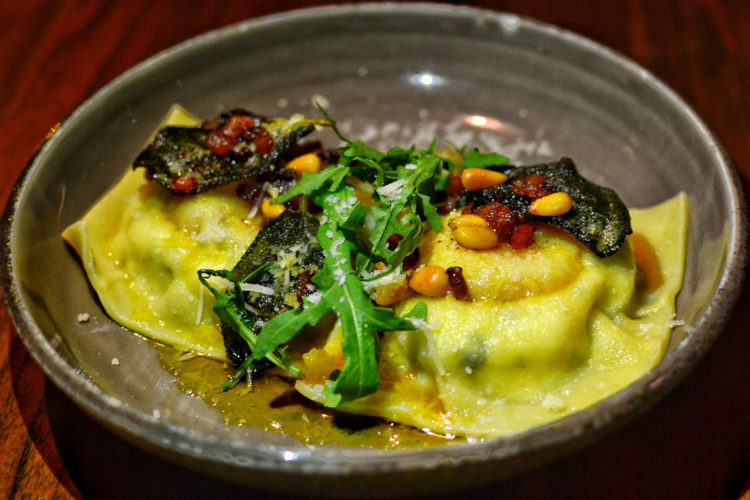 We loved the relaxed seating, friendly service, and casual menu of tapas that featured high quality ingredients and a taste of Europe…. 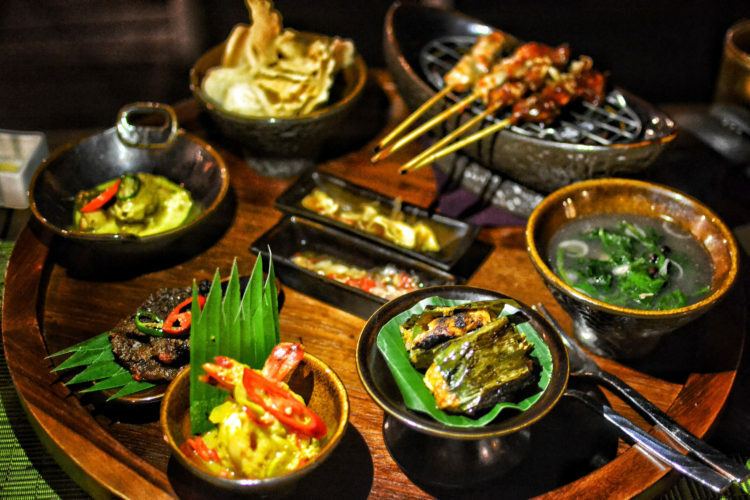 Bejana, The Ritz Carlton’s authentic Balinese restaurant, serves a menu of authentic and high quality Indonesian fare. 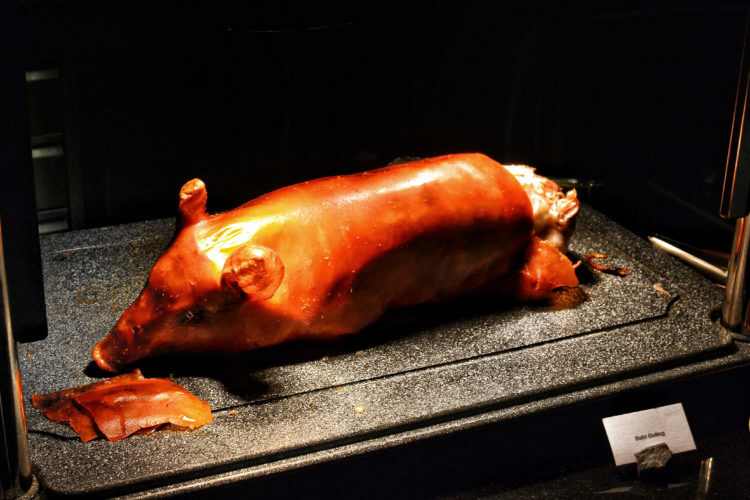 We visited on their buffet night and were eager to sample the many traditional dishes on offer…. 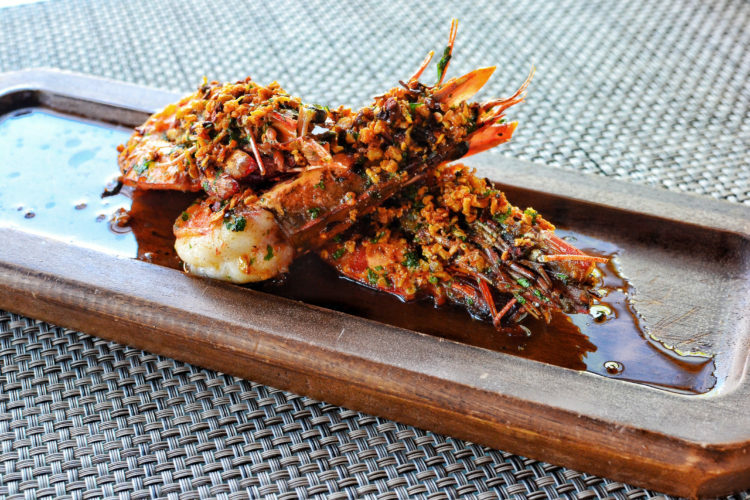 Set on the beautiful Nusa Dua beachfront, The Beach Grill serves up mouthwatering fare in a chic and luxurious venue. 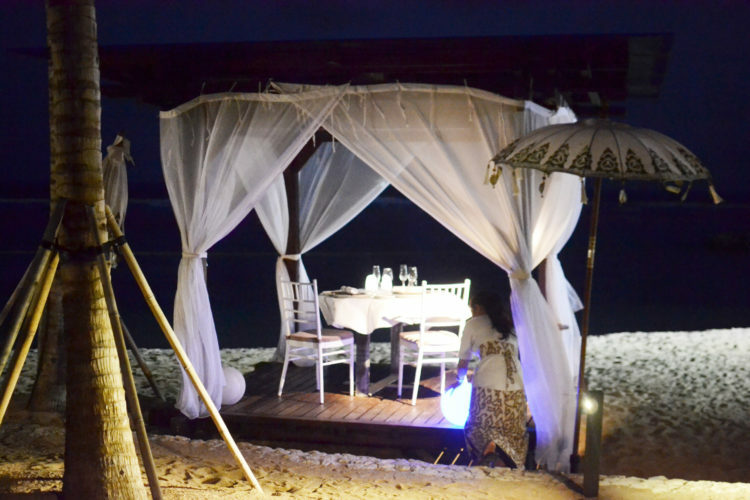 We were lucky enough to experience an exclusive romantic beach set…. 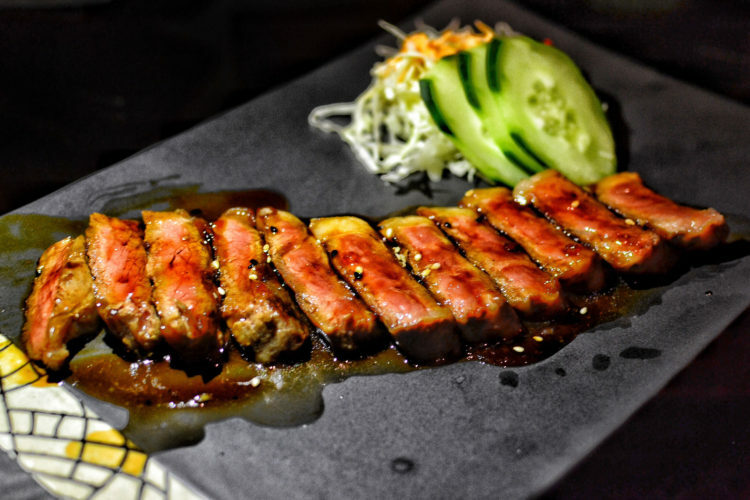 All of us from Hong Kong miss a bite of Chinese food while away, and Chopstick Restaurant is the ideal spot to satisfy this craving while in Bali. 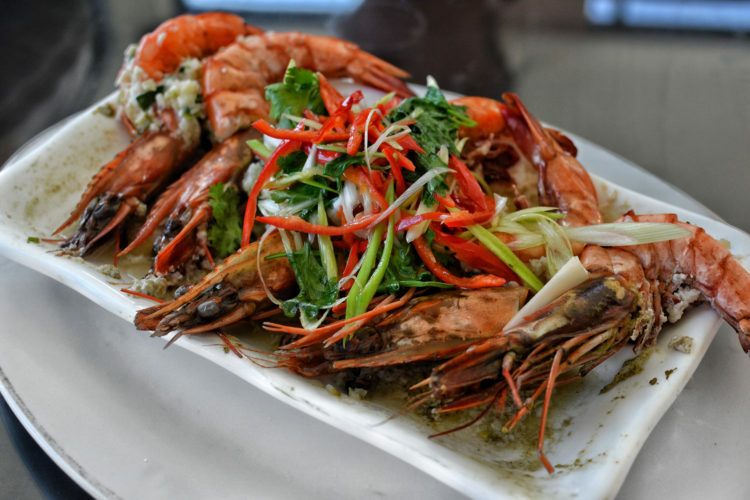 The family friendly restaurant features a menu full of fresh seafood…. Grand Mirage features an authentic Indian restaurant right at the centre of their beautiful beach resort. 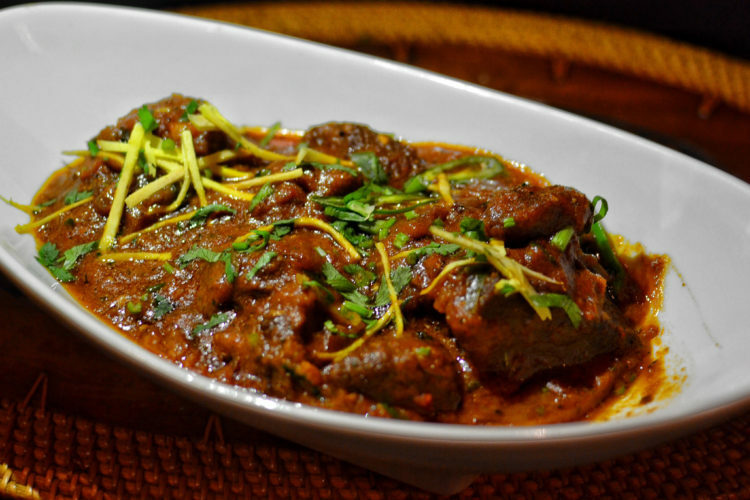 Bumbu Delhi serves up satisfying Indian dishes including…..